This Light Award is sponsored by The Ideal Made Real, by Christian Larson and processed through Kiva.org. Rano Muhammad hussain lives in the city of Lahore, Pakistan, famous for its history and culture. 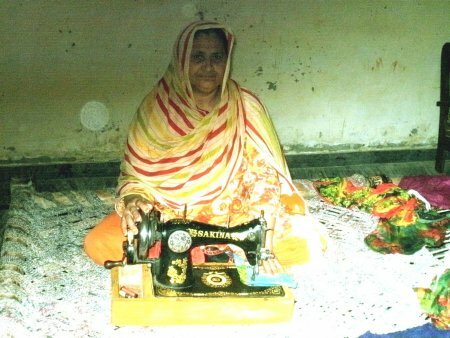 She is an older working woman who does sewing for her neighborhood clients. She has a lot of experience in embroidery and sewing because she has been involved in this work for last fifteen years. Her husband's name is Muhammad hussain. He is a butcher and runs a butcher shop in the market. He specifically sells chicken meat in his shop. Rano has applied for a loan for her husband. With the loan her husband will buy the chickens and expand his chicken meat selling business. Rano loves her family and always ready to help in any way possible. She hopes that this investment will be successful for her husband’s business and he will be able to increase his income as well.